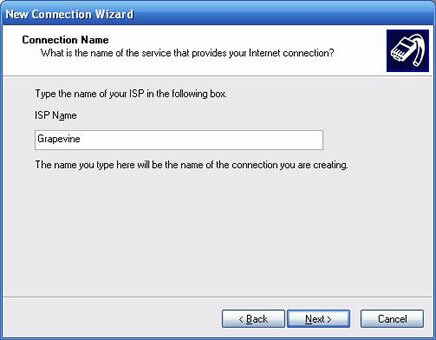 Below are the step-by-step instructions to set up your Windows Vista machine on the TransACT VDSL network. 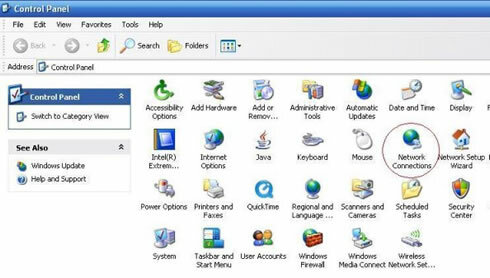 This guide is only applicable if you have a single Windows Vista PC connected directly to the TransACT equipment or supplied Ethernet wall-socket. 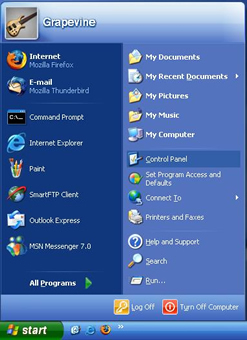 2) If your Control Panel looks like the picture below, click on link “Switch to Classic View”. 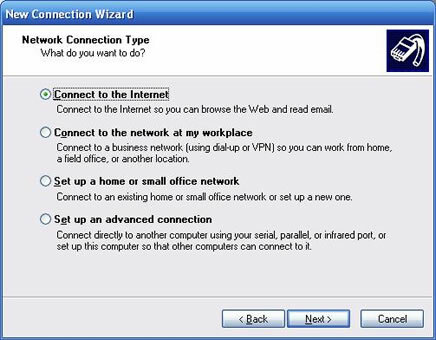 3) Double click on Network Connections. 4) Ensure that the Local Area Connection says “Connected” or “Limited or no connectivity”. If your Local Area Connection says "Network Cable Unplugged", you need to check the cabling and ethernet ports between your PC and the TransACT equipment. 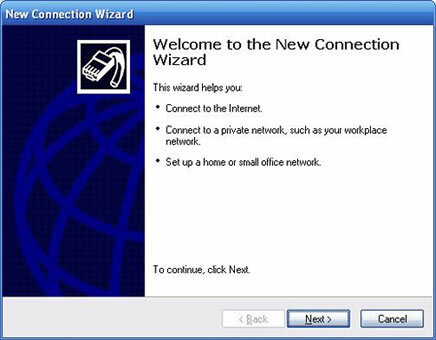 5) On the left hand side, click on “Create a New Connection”.This will launch up the New Connection Wizard. Click next. 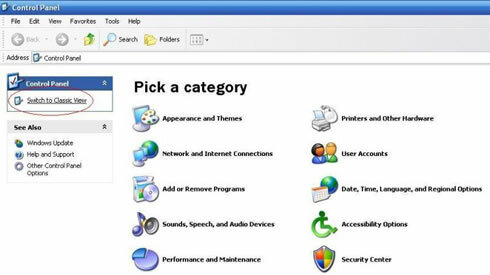 6) Ensure “Connect to the Internet” is selected, and click Next. 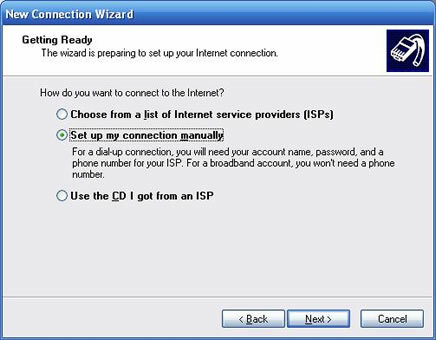 7) Click the second option “Connect using a broadband connection that requires a username and password”, and click Next. 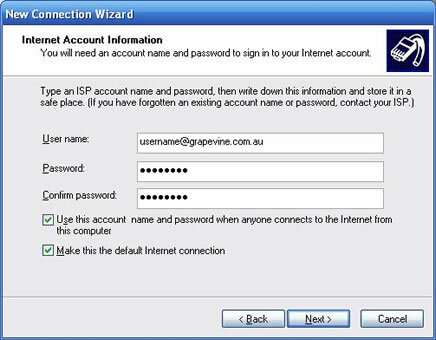 8) Type in the name of the ISP as Grapevine. 9) Type in your username and password in the appropriate fields. 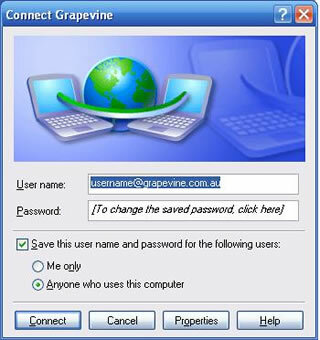 Ensure your username is your full Grapevine email address. Also ensure both tick boxes are checked. 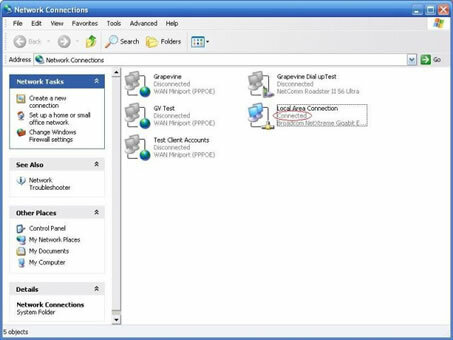 10) (Optional) Tick the checkbox “Add a shortcut to this connection to my desktop”. 12) Click on the Connect button. 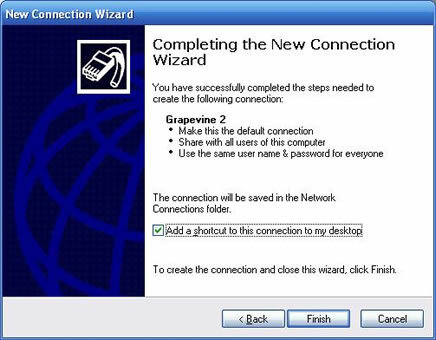 13) You should now be connected to Grapevine. 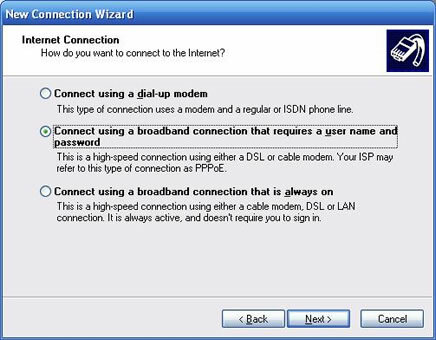 Note: "Speed: 100.0 Mbps" or "Speed: 10 Mbps" or "Speed: 1000 Mbps" only is applicable between the Network Interface Card and the device on the other end of the Network Cable. This does not state your connection speed to the TransACT network.